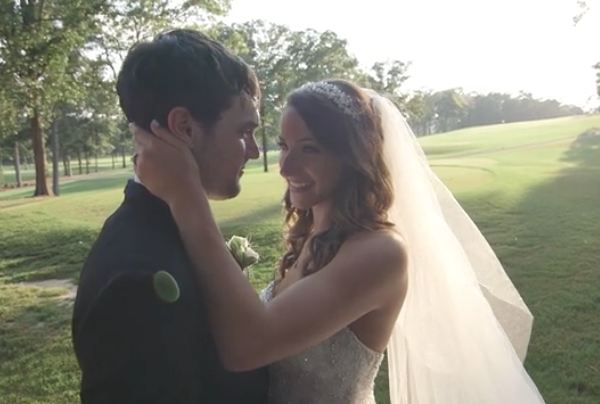 A Moss Mountain Farm Wedding Film by Sunflower Films. 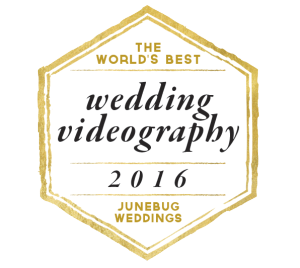 Sunflower Films had the pleasure of capturing Christina and Jonathan’s lovely wedding on June 18, 2016, at the beautiful P. Allen Smith Moss Mountain Farm in Little Rock, Arkansas. It was a day to remember — one filled with breathtaking scenery, close family and friends, and dancing under the stars. P. Allen Smith Moss Mountain Farm is known for its gorgeous landscaping and amazing views. 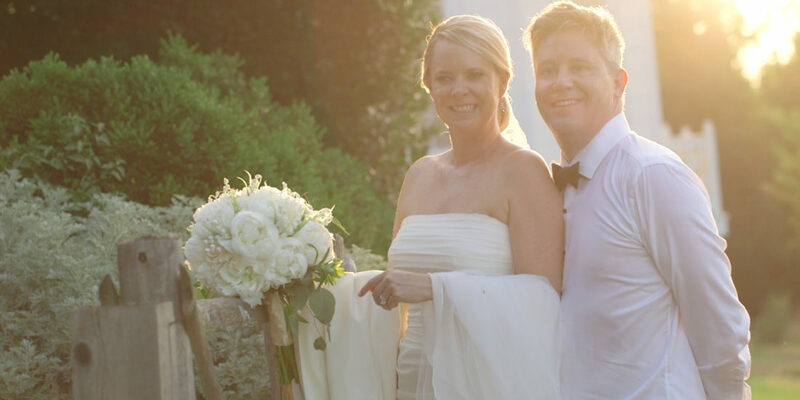 Christina and Jonathan chose to exchange vows in the Hidden Rose Garden in an intimate outdoor ceremony surrounded by roses, star gazer lilies, and other gorgeous flowers. The setting exuded a romantic and ethereal vibe—a perfect place for declaring their love for one another. The brick columned backdrop covered in green ivy added to the rustic charm and was even equipped with a statue of a goddess reminiscent of the Venus De Milo. Christina was accompanied down the aisle by her father as Jonathan looked on emotionally while getting a first glimpse of his beautiful bride. Friends and family gave heartfelt readings during the ceremony. The vows were emotional, and there wasn’t a dry eye in the crowd as the couple was pronounced husband and wife. 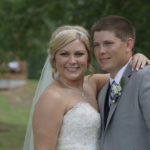 Capturing the couple’s wedding day with photography was the talented husband and wife team out of Dallas, Nate and Laura Henderson. 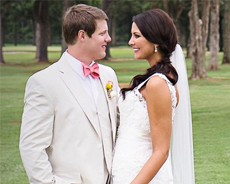 Click here to see all the wonderful photos from Christina and Jonathan’s wedding. The reception was held at P. Allen Smith Moss Mountain Farm under the Big Sister Oak. The massive old oak tree was covered in string lights as guests mingled below and had drinks while waiting for the couple to be introduced. Christina and Jonathan shared a very cool first dance to David Bowie’s, “Heroes”, performed by the super talented band Memphis Soul Revue from Memphis, Tennessee. The wonderfully skilled wedding planner, Sheila Vaught, made sure that everything went perfectly for the couple’s big day. Dinner was served and toasts were made. Emotional and touching speeches were given by Christina’s and Jonathan’s brothers. The siblings spoke about how they’ve always looked up to the couple, and more tears of joy were shed. The band kept everyone dancing all night under the big oak tree. The couple celebrated their Jewish roots by doing a traditional Jewish wedding dance, the Horah. Guests danced around the couple and lifted them up in chairs towards the end—such an amazing dance to capture! The night ended with a beautiful sparkler exit that lit up the summer night as everyone sent the couple off to start their new life together.